Re-balloting in three election centres in Brahmanbaria-2 constituency, where the voting was suspended during the December-30 general election, began at 8 am today. The balloting will continue till 4pm without any break. 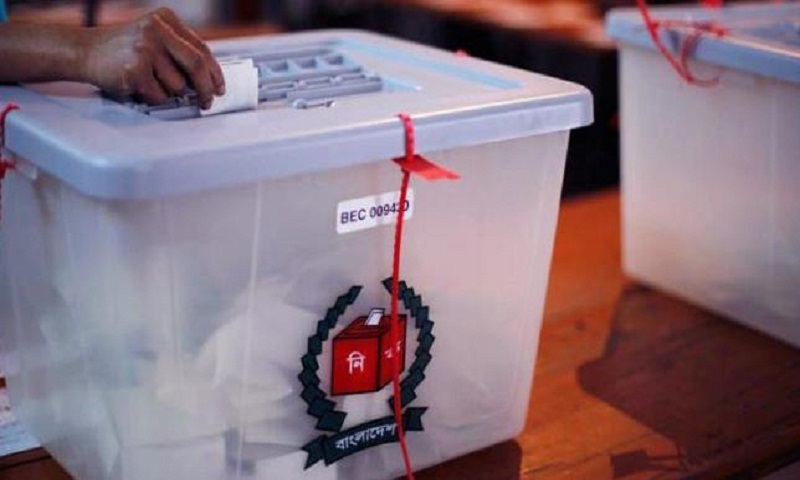 In case of 100 percent turnout of 10,574 voters in the three polling centres, BNP candidate Abdul Sattar Bhuiyan needs 208 votes while his nearest rival independent contender Moyeenuddin Moyeen requires 10,367 votes to win the election. The three election centres are Jatrapur Govt Primary School, Bahadurpur Govt Primary School and Sohagpur Dakkhin Govt Primary School. The margin of votes between Abdus Sattar and Moyeenuddin is 10,159 which is less than the total 10,574 votes under the three election centres. So, the re-voting to the three polling centres is needed. Abdus Sattar with ‘Paddy Sheaf’ bagged 82,723 votes while Moyeen with ‘Kalar Chhara’ (Stalk of Bananas) pocketed 72,564 votes during the December-30 election. Assistant returning officer of the election and Ashuganj Upazila Nirbahi Officer Mousumi Bain Hira said all preparations have already been completed to arrange the re-voting.